The following table shows the casino win for Clark County Nevada (where Las Vegas is) for all slots for calendar year 2012. 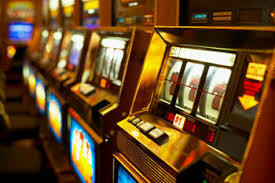 They define “slot” as any electronic game, including video poker and video keno. I’ve found video keno to be about equally as tight as reeled slots, but video poker has a much higher return. So, the return for reeled slots should be higher than these figures. Source: Nevada Gaming Control Board, Gaming Revenue Report for December 2012 (PDF, see page 6). Check WagerWeb and find the best online betting site!!!! Most players play penny video slots. Based on past research, I find the house edge on those to usually be set from 6% to 15%. In general, the nicer the casino, the tighter the slots. While there is no skill to playing slots, there is some skill in selecting which machine to play and ways you can maximize your return. What follows is my advice, if you must play slots at all. Always use a player card. Slots may be a lousy bet, but the casinos treat slot players very well. A $1 slot player will probably get comped better than a $100 blackjack player. Of course, don’t play for the reason of getting comps. You’ll give them a lot more than they’ll give you. The simpler the game, the better the odds. The fancy games with big signs and video screens tend to not pay as well as the simple games. However, slot players always tell me the fancy games are more fun. The higher the denomination, the better the odds. For that reason, it is better to play one coin per line on a 5-cent game than five coins per line on a 1-cent game. Don’t forget to cash out and take your ticket when you leave. It is easy to forget after hitting a jackpot. Try to play slowly and as little as possible to get your fix. Betting Strategies you need to know!